I like ketchup and ketchup likes me. But to reserve a syn, yesterday I went without. I cooked the egg for less time so the yolk was more runny than usual to make up for its ketchuplessness. Sweeten your tea even if you don't usually take sugar so that it feels proper like. Lovely Saturday morning brekkie for only half a syn (milk in the tea). 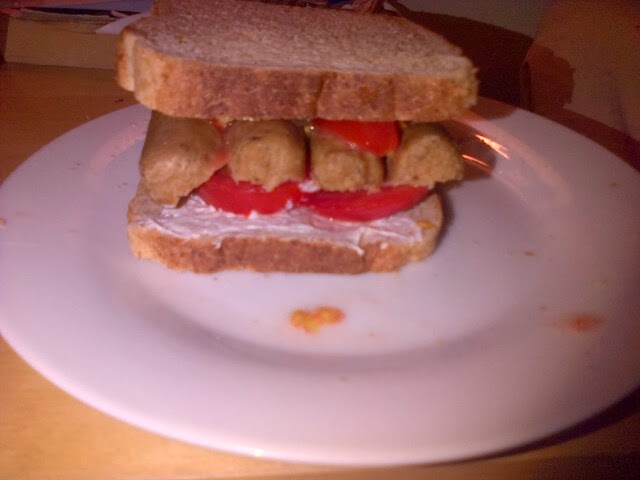 Layer sliced tomatoes and 2 Quorn sausages (2 syns) on one slice. SANDWICH together. I invested in a couple of these on ebay (they were brand new with tags ok) and enjoyed them for the first time the weekend just gone (9/11). 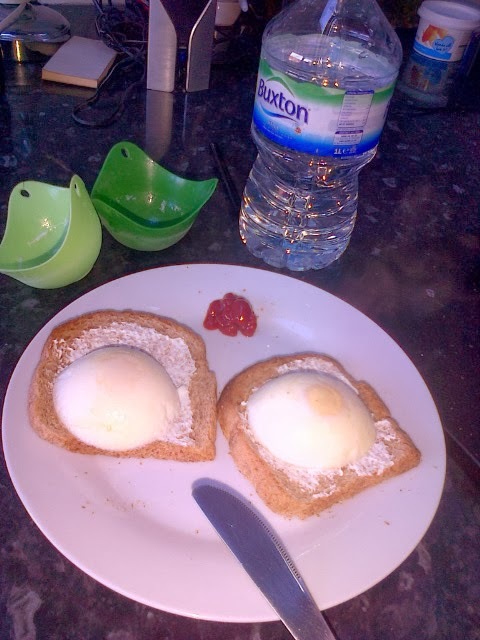 They're amazing because they allow you to poach eggs perfectly with no mess or stress (I get stressed very easily). 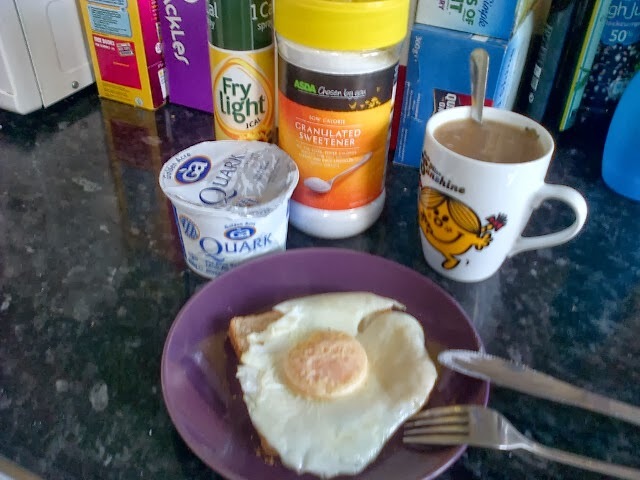 I realise they look a bit rudey but here are my eggs on 2 slices 400g wholemeal loaf spread with quark. Washed down with a litre of water. 1 syn for the ketchup.